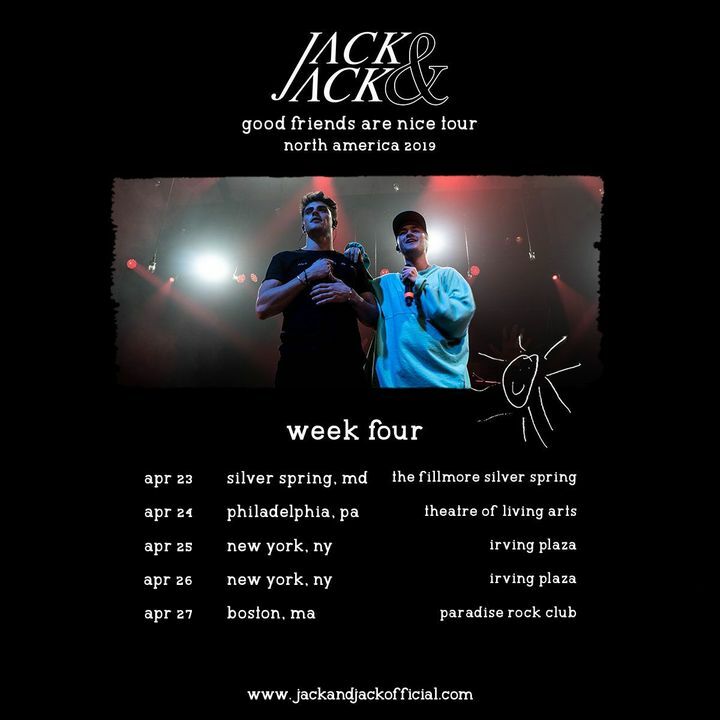 Week four of the #GoodFriendsAreNiceTour, who's ready?! this show was phenomenal. yes, i am biased but all acts were really good, and i didn’t even know the opening acts but they blew me away. amazing performers, interactive, amazing stage presence. i wish i could do it all over again. IT WAS AMAZING!!!!!!!!! the opening acts were literally so good!!!!! they were fun & got me pumped for jack & jack!! 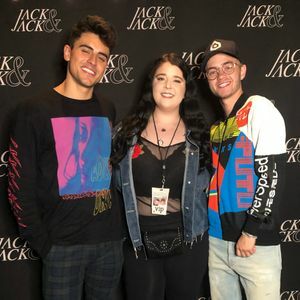 Jack & Jack were the best ever. i’ve been to a lot of concerts & this one was my favorite. I was so close too & I kept making Gilinsky laugh. I would come see them again no doubt. when I made them they were so sweet & genuine. they have a heart of gold & a good soul. I love them so much and I will definitely be back for them. & there was so much detail on stage & etc... it was just great. it was epic. I had the time of my life. best night ever. no joke.